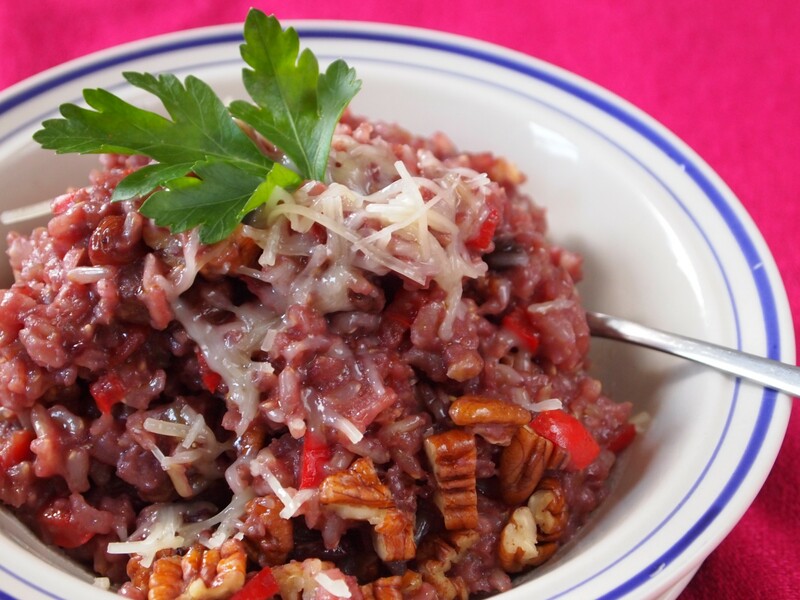 Every time I have this colorful, generous rice dish, my mind wanders back to Lima in the 80’s and 90’s, having lunch at the Costa Verde, a restaurant overlooking the Pacific Ocean and the beautiful cliffs that make our city as unique as its food. 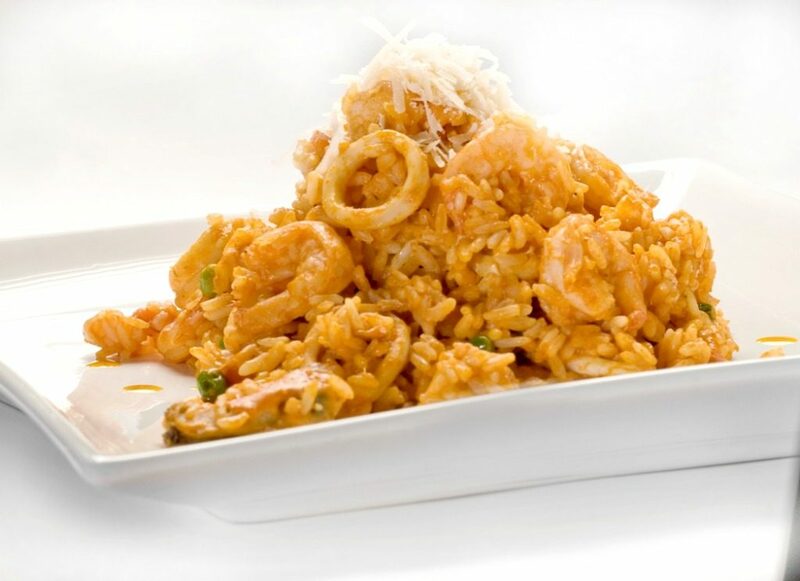 Arroz con mariscos is not only delightful and colorful in abundance; it is also a Peruvian’s dream come true, as it puts together, in one fantastic entree, two of our great culinary loves: seafood and rice. You may know by now that in Peru we are obsessed with rice. We enjoy it with duck, with chicken, with fish, with vegetables, with beef, with scallops, with shrimp, with beans…even with quinoa, wheatberries and potatoes! 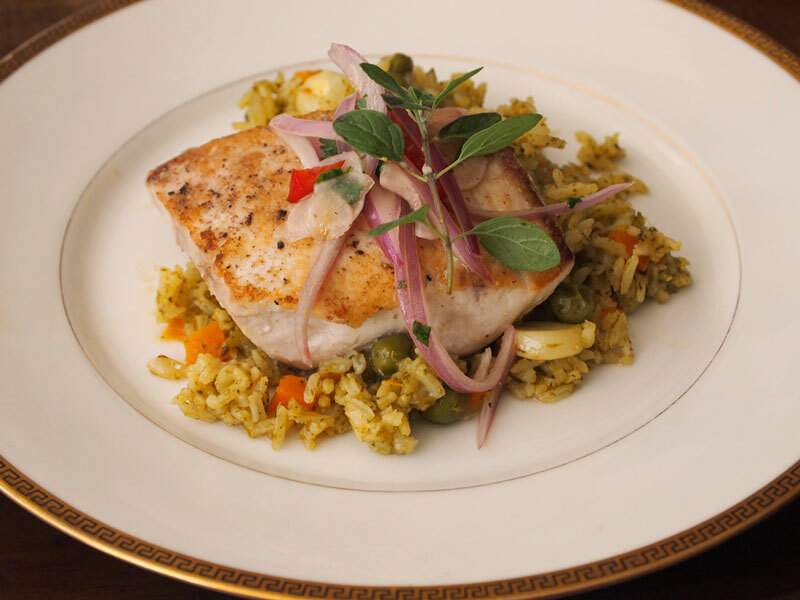 On the other hand, it is no secret that our food is heavily based on fish and seafood. We are very lucky to have a bountiful sea, that gives us the best fish and shellfish of the world everyday. Not only that, but thousands of people find their sustenance coming from the very cold waters of this generous ocean. And thus…Arroz con Mariscos is born. This dish does in fact look like a portion of the rainbow on your table, and if you’re a seafood lover it will, guaranteed, blow you away. The recipe gets its orange / pink tones from the shrimp and scallop coral, and, of course, from the chili pepperthat is almost never missing in our food -you can leave it out if you want, or add some more if you like! 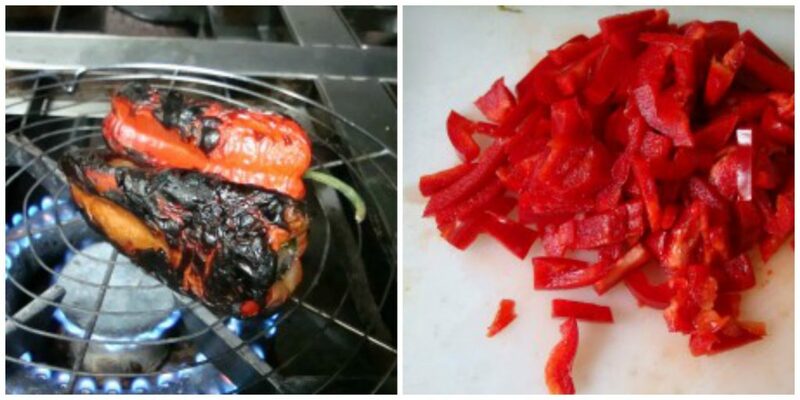 You can also substitute it with another chili pepper if you can’t find this one specifically, or buy the paste, instead of using it fresh. This recipe also calls for a touch of Parmesan cheese, which rounds up the flavors completely. In Italy it´s blasphemy to add Parmigiano to any dish containing seafood, but this is a Peruvian recipe, and we think that a little bit of Parmesan cheese here is perfection; not overpowering, but just giving it that extra touch that still lets the shrimp and squid shine through. Advice from the wise: don´t overdo it! 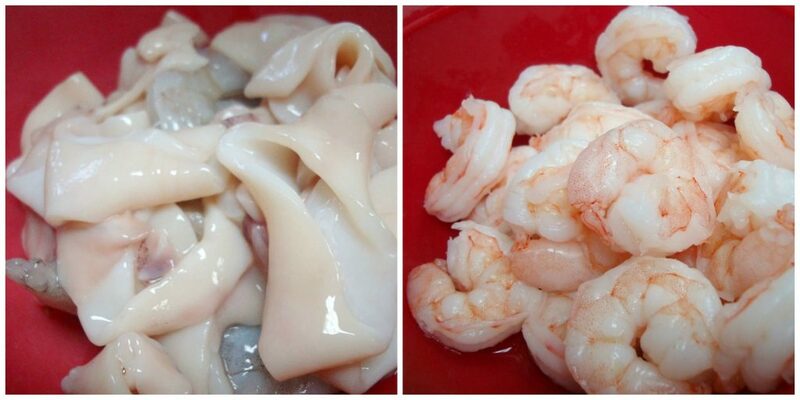 You may add any kind of seafood available: mussels, clams, scallops, crab… But I like mine simpler, with just a few shrimps and some squid rings. The final touch? A sprinkling of lime juice over the rice, and a Pisco sour or a glass of white wine… That´s the life, dear friends!!! Heat the oil in a saucepan over high heat and cook the onion, stirring, for 3 minutes. Lower the heat to medium, add garlic and continue cooking 2 more minutes. Add chopped tomato (or tomato paste), aji amarillo, dried oregano, bay leaf, and achiote oil. Cook for 5 minutes. Add white wine, bring to a boil and let it reduce to almost dry. Add fish stock, rice and seafood, and cook, stirring for 3 minutes. Discard the bay leaf. 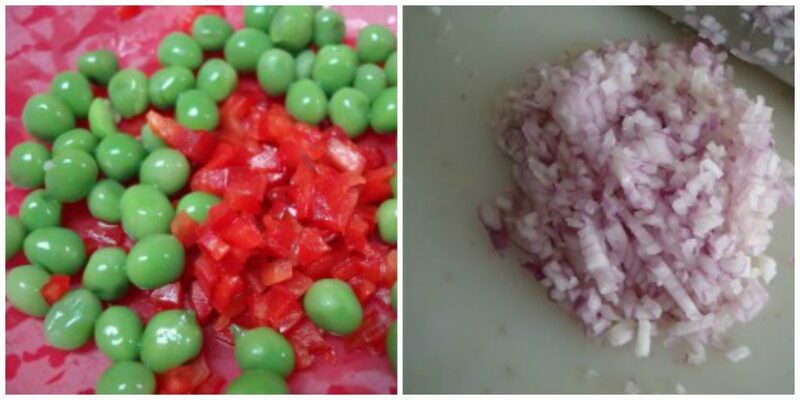 Incorporate the rice, chopped bell pepper, green peas, Parmesan cheese, coriander leaves, salt and pepper. It must be very hot and juicy. *To make achiote oil, put ½ cup vegetable oil in a small saucepan, with 1 tablespoon achiote seeds. Heat over very low heat until the color of the oil is red. Reserve and cool. Drain and discard the seeds. Pour the oil in a jar and use as needed. I love seafood! Este arroz con mariscos se ve espectacular. Que hambre me ha dado leyendo la receta. Gracias por compartirla! Se ve maravilloso! Mi mamá me va a dar una receta parecida! This dish looks amazing! 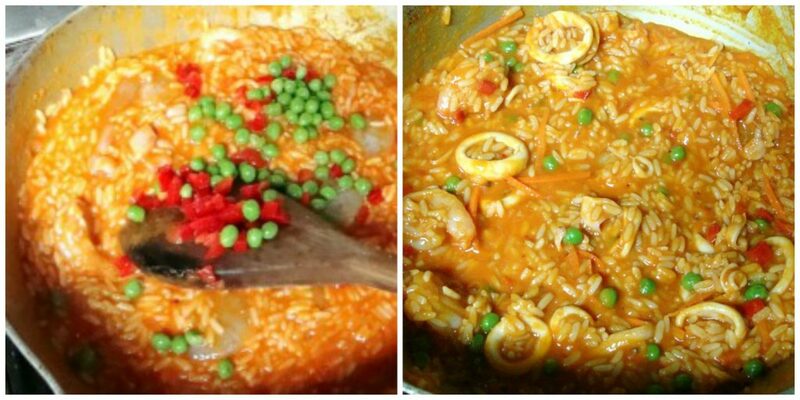 I have to admit I have always been a secret fan of arroz con mariscos. Yummy! Thanks for top-notch recipes once again… ! Muy interesante la receta nunca lo prepare con queso parmesano,hoy justamente lo hare tal como indica la receta,estoy saliendo al super en busca de los mariscos,att.agradecida. Hola Gabby, estamos seguras que la receta te va a encantar. Nos cuentas y nos mandas fotos para ponerlas en nuestra página de Facebook. I can’t find aji amarillo in my area. Can I substitute aji amarillo paste in the recipe? I love this dish and can’t wait until I make it at home. Hi James. You can use aji amarillo paste in our recipes. 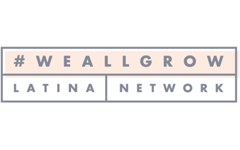 It´s easier to find in Latin American grocery stores and on the internet.